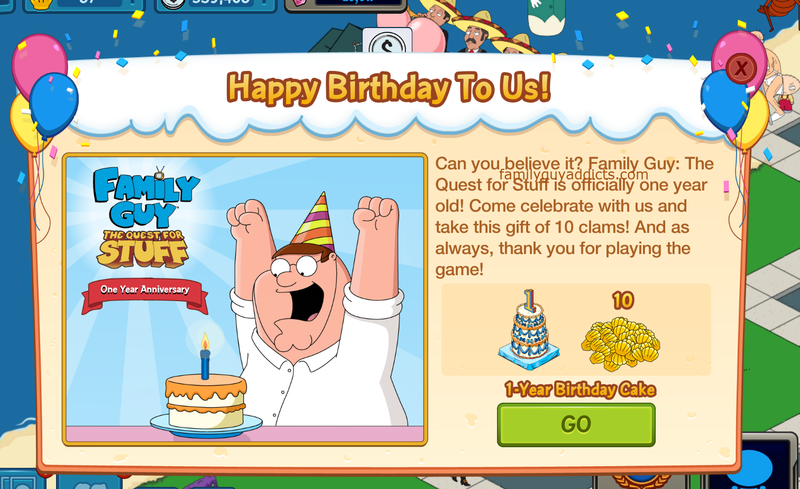 Looks like Family Guy: Quest For Stuff has reached another milestone as today we celebrate the games 4th birthday. Yes, it’s really been 4 years since some of us started playing. And for some even longer if you started with the Beta version. HAPPY 1 YEAR CAKE AND CLAMS!!! Looks like TinyCo is getting in on the fun of the 1 Year Celebration of the game too. It’s a Celebration all around for Family Guy: The Quest For Stuff.